San Francisco (AFP) - Corey Weiss may not be adept at body language or social cues, but he knows software. Laser-focus on detail that comes with his place on the autism spectrum are part of what makes Weiss a top analyst at MindSpark, a young California firm mixing business smarts with social good. "I see things others wouldn't," said 27-year-old Weiss, who was diagnosed with autism when he was a young boy. "The greatest strength is it makes me more detail-oriented; I am more focused." 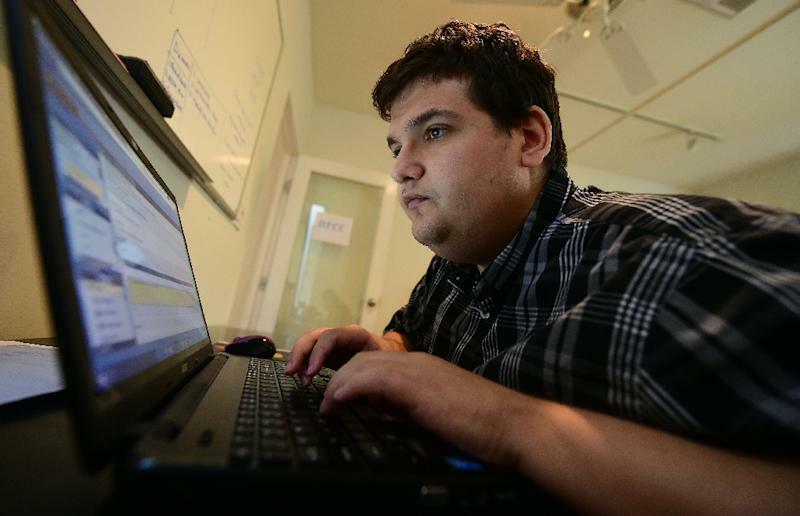 MindSpark, located in the coastal city of Santa Monica near Los Angeles, employs analysts with autism to test software for companies. The firm has been refining its model for the past three years, its roster of clients growing to include Fox Networks Group and Liberty Mutual. This week, MindSpark opened to companies around the world. MindSpark seeks out people on the high-functioning end of the autism spectrum with behaviors that, while at odds with social norms, are advantages in working with computer technology, according to co-founder Chad Hahn. "You have this huge pool of talented labor that not many people are looking at," Hahn told AFP. "This is a perfect model to drive social change. Companies can really do well by doing good." 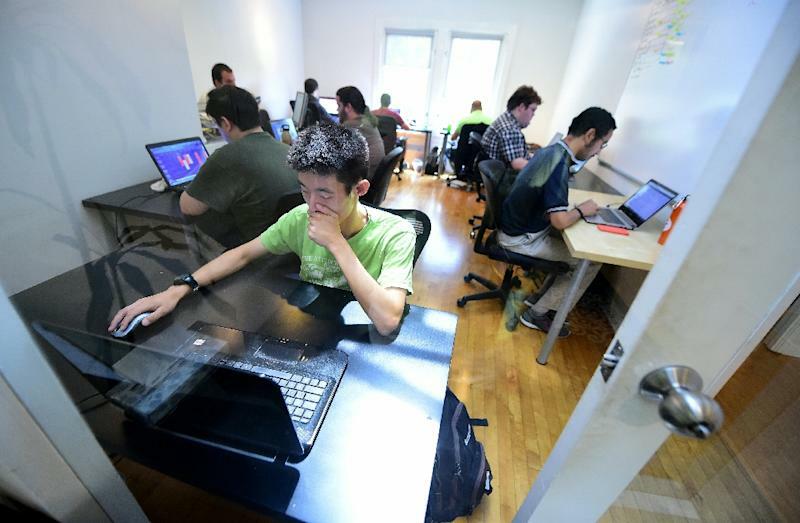 MindSpark has 27 analysts, five of them full-time employees and the rest paid based on the number of hours they work. Analysts make about $35,000 annually, with senior analysts earning closer to $50,000, MindSpark said. Hahn described software testing as a learnable skill, especially if people have traits prevalent in the higher functioning end of the autism population: attention to detail, pattern recognition, and a penchant for staying focused on a task. About one percent of the world's population is touched by autism, a developmental disability that affects people to different degrees, according to the US-based Autism Society. The autism spectrum ranges from people who avoid eye contact and communicate with seemingly odd behaviors instead of words to those with language skills and quick minds but inability to understand social norms. "Most people (with autism) do not have access to work despite the fact that they are willing and desire work," said Desiree Kameka, director of community engagement at Madison House Autism Foundation. "Tech companies being able to create an environment that takes into consideration the accommodations adults on the spectrum need is so important." For those with autism, dealing with the social side of a workplace that is routine to "neuro-typical" people can be overwhelming. EvoLibri Consulting founder Jan Johnston-Tyler, who has an adult son with high-functioning autism, called for workplaces to embrace "neurodiversity" such as autism, attention-deficits, and learning disabilities. "These are hard-wired, not acquired differences," Johnston-Tyler said. "They are simply different ways of being." Johnston-Tyler contended that autism has been a part of Silicon Valley since its inception. The 57-year-old mother recalled being a school girl in Palo Alto with classmates who, in hindsight, she believes were autistic but were thought of as geeks. "Silicon Valley was built on neurodiversity; that is how we got here," said Johnston-Tyler. EvoLibri specializes in finding jobs or services for "neurodiverse" people. When workplaces create supportive communities for people with autism, they tend to get intensely loyal workers who come with the benefit of looking at challenges or problems differently. While some on the spectrum are natural for computer science, others excel in other areas such as art or media, according to Johnston-Tyler. A challenge, she said, has been getting Silicon Valley companies to open doors to long-term careers instead of simply farming out piecemeal work on tasks such as debugging code. "We have qualified people at a time when Silicon Valley continues to bellyache there are no qualified candidates," Johnston-Tyler said. "They don't want to hire people because they are different." A problem is that while some with autism may have the right job skills, they also may have trouble with life basics such as sleeping, eating, and getting to the office on time. Microsoft last year launched a pilot program aimed at recruiting people with autism for full-time jobs at the Redmond, Washington-based software colossus. When announcing the program, Microsoft said that an estimated 80 percent of people with autism are unemployed, though many are fully capable of holding down jobs, and some possess exceptional skills in areas such as science, mathematics or technology. Microsoft and German business software giant SAP AG are among the companies working with Denmark-based Specialisterne, which puts people with autism in jobs such as software testers or programmers. Often, families of people with autism have taken on the challenges of starting businesses, creating farming communities or undertaking other major projects to provide loved ones with meaningful lives. "I am seriously concerned about what is going to happen to older adults on the spectrum today who have the potential for meaningful employment but don't have those connections; whose parents are not part of that startup social enterprise world," Kameka said. "It is scary to think about."